SITUATED ON A SPECTACULAR 1.46ACRE CORNER POINT LAKEFRONT LOT IN WINDMILL RANCH ESTATES, THIS MAGNIFICENT 10,000+SF MANSION ECHOES THE SPLENDOR & GRACE OF A EUROPEAN BOUTIQUE HOTEL. STUNNING RESORT-LIKE GRAND TERRACE W/PICTURESQUE ART GARDEN, ITALIAN SUMMER KITCHEN, HTD POOL/SPA, TENNIS COURT W/SEP ADJACENT CABANA BTH. 7BED, 8 BATH, 2 HALF BATH WITH HUGE KIDS WING, GUEST RM, YOGA STUDIO & LOUNGE UPSTAIRS. DOWNSTAIRS, SUMPTUOUS MASTER SUITE, LIBRARY, 8-SEAT SOUND-PROOF MOVIE THEATRE W/ELECTRIC LEATHER SEATS, GYM, GAME RM, MAID QUARTERS. SOARING 24FT CEILINGS, IMPORTED LIMESTONE FLOORING, ALL IMPACT GLASS, ELEVATOR. CHEFS GOURMET KITCHEN, 8 BURNERS/2 OVENS/WOLF & SUBZERO APPLI, NEW MIEHL DISHWASHER, CARRERRA MARBLE BUTLERS PANTRY. 450 BOTTLE WINE COOLER, WET BAR W/COPPER SINK & SO MUCH MORE! Spacious waterfront home in Weston's exclusive Windmill Ranch Estates. Undoubtedly one of Weston's premier properties. This custom built home has been completely updated and features the finest craftsmanship, custom millwork and the highest attention to detail. Nothing has been overlooked in this 5,500 sf estate home with 6 bedrooms, 6 bathrooms, plus an office. Incredible outdoor entertaining area with oversized heated pool, summer kitchen, and guest house. Newer roof, New Hurricane Impact Glass, Custom Built-Ins and Closets in every room. This home is move-in ready. *PRISTINE CONDITION* *SUBSTANTIALLY REMODELED* *VOLUME CEILINGS* *WINDMILL RANCHES ESTATES* BREATHTAKING VIEWS EVERYWHERE ON THIS LARGE 1.86 ACRE LAKEFRONT CUL-DE-SAC LOT, THIS 5/4.5 WITH 7418 TOTAL SQ.FT. WITH A HUGE POOL WITH SPA AND PATIO & GAZEBO AND OUTDOOR SUMMER KITCHEN, CONCRETE DRIVE WITH CHICAGO BRICK, BASKETBALL COURT, ACCORDIAN HURRICANE SHUTTERS, 6 ZONE NEST A/C SYSTEM, ELECTROLUX KITCHEN APPLIANCES, WHIRLPOOL DUET FRONT LOAD WASHER/DRYER, LARGE PANTRY, GORGEOUS NEW HARDWOOD FLOORING, GORGEOUS NEW MASTER BATH WITH HUGE SEPARATE TUB & SHOWER, NEWLY PAINTED, HUGE OFFICE OR THEATER ROOM..
Estate styled home with numerous upgrades & millwork. Saturnia flooring throughout. 6 bedrooms with private bath & custom closet. Media room with bar area. Office/library plus wine cellar. Chef kitchen, deluxe upgrades. Oversized master suite w/attached exercise room or nursery. Outside features: basketball court, built-in bar & grill, panoramic lake views, heated pool & spa, large circular driveway, 3 car garages with floor to ceiling built-ins. 2 car Porte Cochere with covered parking & entrance. Hurricane impact windows, front mansion doors with Versace glass. 3 new A/C units, 3 attics, extensive landscape & lighting. Lutron lighting throughout. Magnificent home for entertaining and large family. Beautiful custom built Foglia home on an oversized lake/golf course/cul de sac lot. 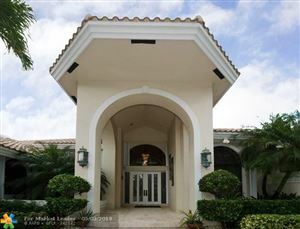 Basketball court, 4 car garage, outdoor cabana shower in huge screened patio overlooking pool. Two full offices with custom built-ins plus a huge playroom/exercise room. New roof, newly painted and landscaped. Best schools in Weston K-12 and the perfect home to raise your family. Don't look further!!! 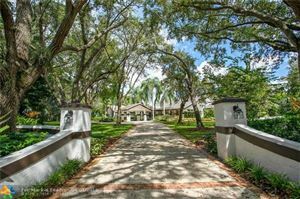 Like to entertain, this fenced/gated Estate in Weston is for you. No monthly association fee, High Ceiling, marble throughout the entire house, 6 Bedrooms / 6 Bathrooms on over 2 acres of land, pool, spa, fountain. Full Outside kitchen / barbecue and outside bathroom. Private guesthouse 1 Bedroom/1 bathroom, living area, kitchen. 1230 sqf. SPECTACULAR UNOBSTRUCTED GOLF VIEWS! 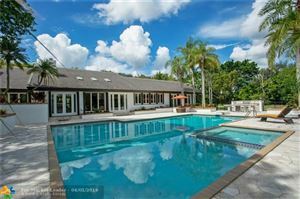 MAGNIFICENT ONE STORY CUSTOM 5 BEDROOM 4.5 BATH POOL HOME TO CALL YOUR OWN. NEW ROOF, ACCORDION SHUTTERS, EXPANSIVE BACK YARD AND POOL DECK FOR ENTERTAINING. OPEN LAYOUT WITH LOTS OF WINDOWS TO ALLOW PLENTY OF NATURAL LIGHT. CUL- DE- SAC FOR QUIET LIVING. CROWN MOLDING THROUGHOUT THE HOME. MASTER BEDROOM HAS A LARGE SITTING AREA WHICH COULD BE AN OFFICE. ELEVATED LOT WITH BEAUTIFUL LANDSCAPING. 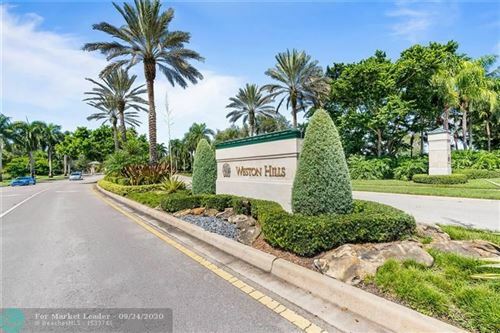 LUXURIOUS LIVING IN PRESTIGIOUS WESTON HILLS COUNTRY CLUB. NEUTRAL COLORS , READY FOR A NEW FAMILY. THIS PROPERTY IS A WINNER. Ultimate Lifestyle -Highly desirable 20,123 sq. 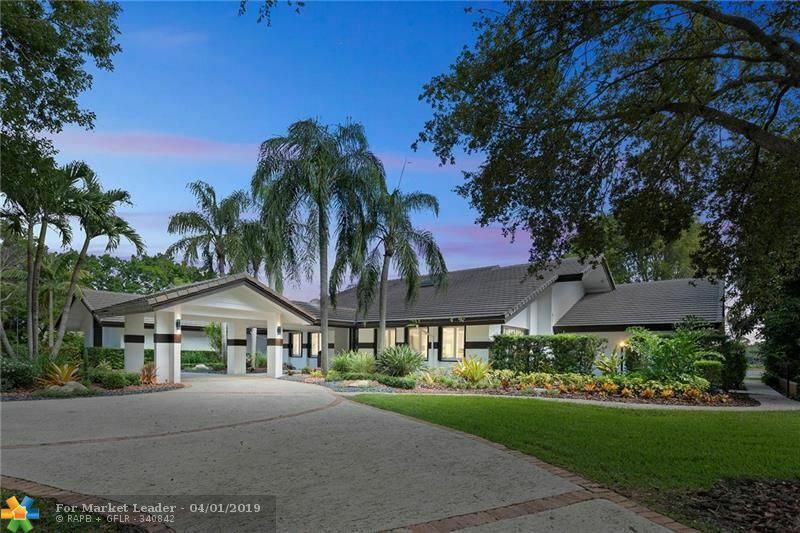 ft. corner lot in Weston Hills Country Club. 6 BED 4 BATH PLUS LG DEN, 2 story split floor plan AMAZING LAKEFRONT VIEWS, -Freshly painted, new AC, wood floors throughout, Gourmet Kitchen top of line APPLIANCES, LARGE GRANITE ISLAND, SPACIOUS EAT-IN-AREA, HIGH CEILINGS with CROWN MOLDING. Master bedroom SUITE HAS HIS/HER CALIFORNIA closets, large dual shower area, spa style tub. Backyard has large updated heated POOL/JACUZZI, COVERED PATIO and BUILT IN BBQ. LARGE LAUNDRY ROOM, 2 LG STORAGE ROOMS , Hurricane Shutters. Updated lighting. Circular driveway hold 5+ cars and 3 car garage. Lake fed sprinkler system. Home filtration system. Spectacular panoramic lake and pool views! 5 bedrooms + office+ loft. Brand new hardwood floors in downstairs master bedroom and office. Remodeled master bath w/dual vanities and double showers.Diagonal newer marble floor in living areas. Open kitchen to spacious family room and breakfast nook. Contemporary dual staircase that leads to second floor w/ hardwood floors through out. Inside laundry w/wash tub. Brand new diamond brite pool and tiles. New pool plumbing. Freshly resealed front and back pavers. Oversized private and fenced lot ideal for entertaining. Awning on the patio. Cabana bath for guest convenience. Accordion shutters .Backyard faces West providing beautiful sunsets by the pool. WOW!! 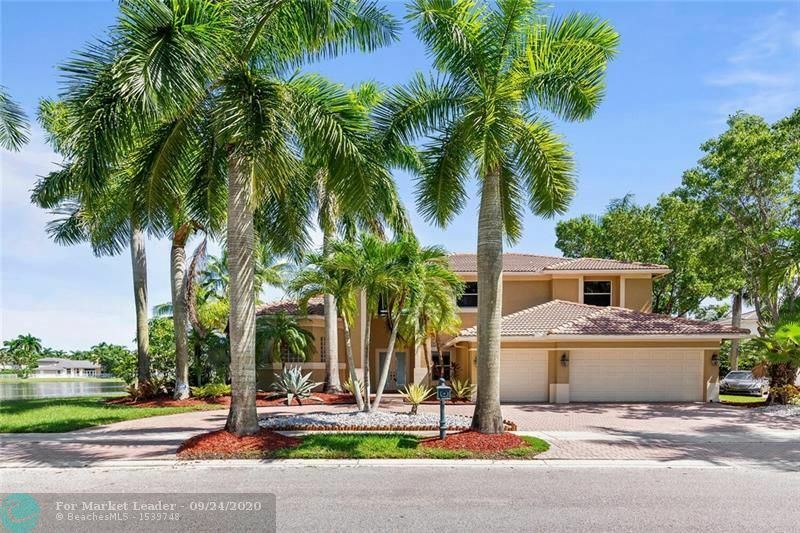 TOTALLY REMODELED 5 BED/5 BATH POOL HOME IN PRESTIGIOUS WESTON HILLS COUNTRY CLUB. THIS HOME HAS BEEN IMPECCABLY MAINTAINED BY MR. & MRS. CLEAN. HOME HAS BEEN REMODELED FROM TOP TO BOTTOM. GOURMET KITCHEN W/HUGE CENTER-ISLAND, GRANITE COUNTERS/BACKSPLASH, FRENCH PROVINCIAL CABINETRY, SOFT-CLOSE CABINETS & DRAWERS. 24"X24" PORCELAIN TILES INSTALLED ON A DIAGONAL, PLANTATION SHUTTERS INSIDE, ACCORDION HURRICANE SHUTTERS OUTSIDE. HUGE PRIVATE FENCED LOT. UPDATED BATHS. TOO MANY UPGRADES TO MENTION! **INVESTORS** HOME IS RENTED AT $5500/MONTH THROUGH 10/11/2019 W/ONE-YEAR OPTION AT SAME PRICE. NOW IS YOUR CHANCE TO PURCHASE AT TODAY'S PRICES WITH AN EXCELLENT TENANT ALREADY IN PLACE FOR THE NEXT 1-2 YEARS. Exquisite from beginning to end! Over $400K of RECENT RENOVATIONS with meticulous, brilliant attention to detail, NO EXPENSE SPARED! 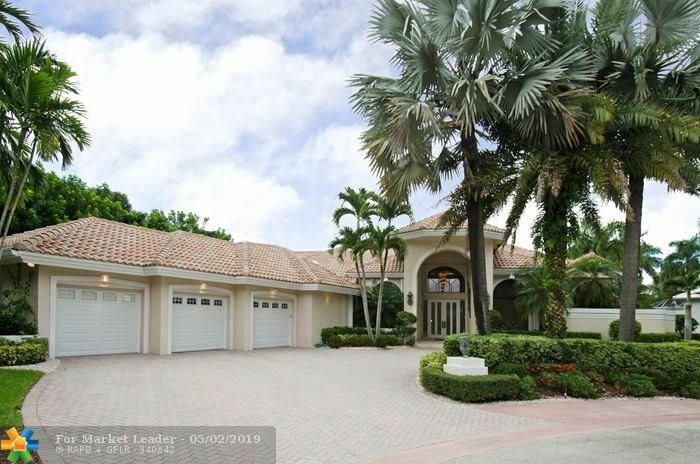 Stunning 4BD/3.5BA home on magnificent HALF ACRE+ lot in boutique enclave of Tequesta Lake! 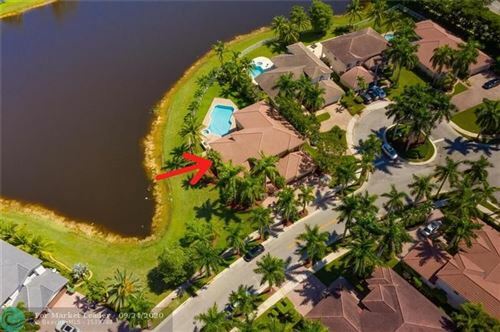 The front of home offers SPECTACULAR LAKE views while the resort-like POOL area sprawls against an expansive PICTURESQUE PARK-LIKE setting w/private berm! Light & bright w/wall of windows, all high efficiency IMPACT GLASS, electronic shades, LED lights, ROOF 2011. HIGH-END KITCHEN w/quartz counters, Thermador appliances w/vent hood, induction cook-top, wine refrig, floating shelves & more! Spectacular MODERN MASTER BATH, NEW porcelain plank flooring, NEW solid wood doors, large custom 2CG w/hybrid hookup & so many other amazing details, pls see supplemental remarks!